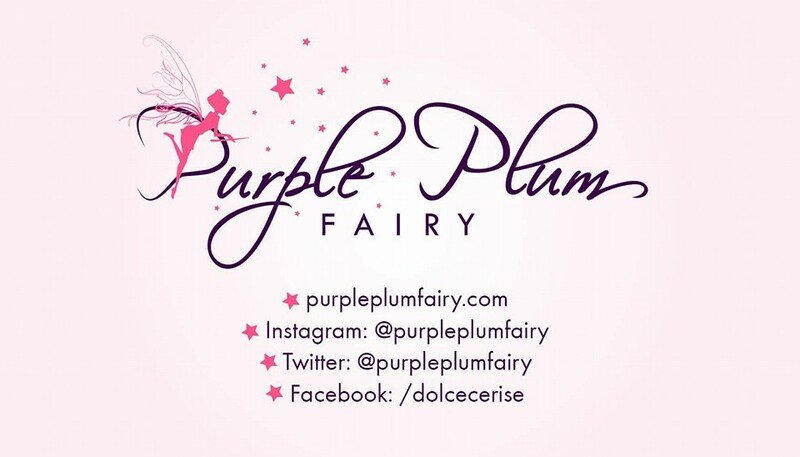 Purple Plum Fairy: Neon Invasion Run 2013--Fun Run + Music + One Great Night to Party! 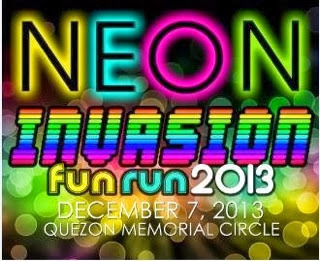 Neon Invasion Run 2013--Fun Run + Music + One Great Night to Party! Are you a child of the 70's, 80's or how about 90's? I absolutely loved those era not only because I was born during the 80's but more so because it was truly the best of times. Back then, life was so simple yet totally cool! Hip and trendy were the norms in the society. Disco was the fave hangout place of everyone. One can play his fave music by dropping a cent into the jukebox (a machine that plays music), run or jog with a walkman/discman in hand, plus it was also the time when the karaoke machine (which later on evolved into videoke/KTV machines) rose to popularity. Aah! Those were the good old times, it's so nice to reminisce on them. So I actually grab each time I get the chance to experience them again. Totally curious about what the hell am I talking about? Yes, you too can experience them yourself even if you haven't been born yet during those times. 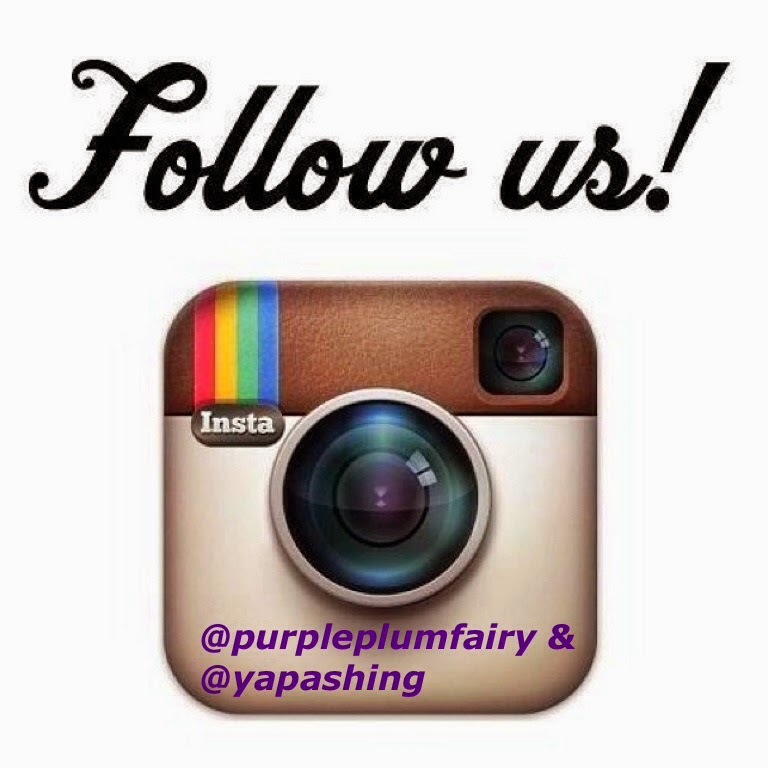 Come and experience the thrill of the three eras I have mentioned above. 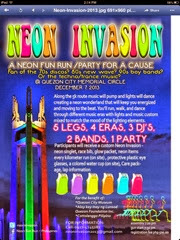 Relive the fun of 70's, 80's and 90's era by joining the upcoming Neon Fun Run called Neon Invasion Run, set to be held this December 7, 2013 at the Quezon Memorial Circle! Along the 5K route, music from the 70's disco,80's new wave and the boy band 90's era will be played along with dancing neon lights creating not just lots of memories from the past but one truly unforgettable evening run. Get yourselves ready to party and dance your way to the finish line. 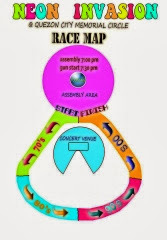 The fun does not end there though because a New Wave Party awaits everyone at the finish line. With 5 leg, 4 eras, 3 DJs, 2 Bands, 1 AWESOME party--you could never go wrong! What's more? 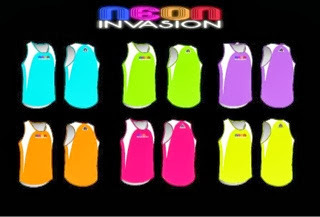 By signing up at this fabulous Neon Invasion Run 2013, you get to enjoy the night away as you run, jump, walk and party while doing your share to help others as well. This run is for the benefit of Quezon City Museum, Alay Kay Inay ng Lunsod Quezon Foundation Inc., and Cottolengo Pilipino.